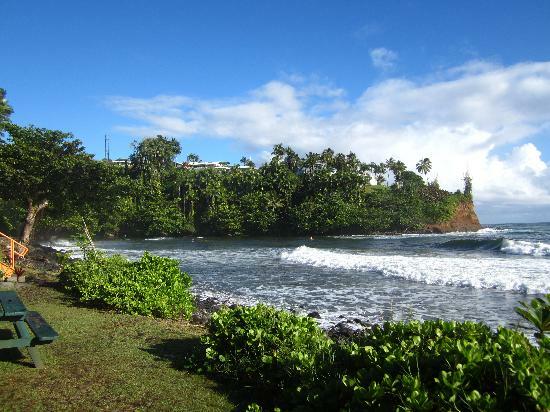 On the eastern coast of Big Island, just north of Hilo, lies Honoli'i Beach Park, a popular spot for surfing. Unlike other surfing beaches on the Big Island, Honoli'i offers wave-riding opportunities all year round. The calmer sea condition during summer makes it a perfect training ground for newbie surfers. When winter season comes, the higher surf and more challenging waves appeal to expert surfers. Recreational swimming is not common on this beach due to the prevalent rip currents and longshore currents which are aggravated when they combine with the cold waters discharged by Honoli'i Stream. 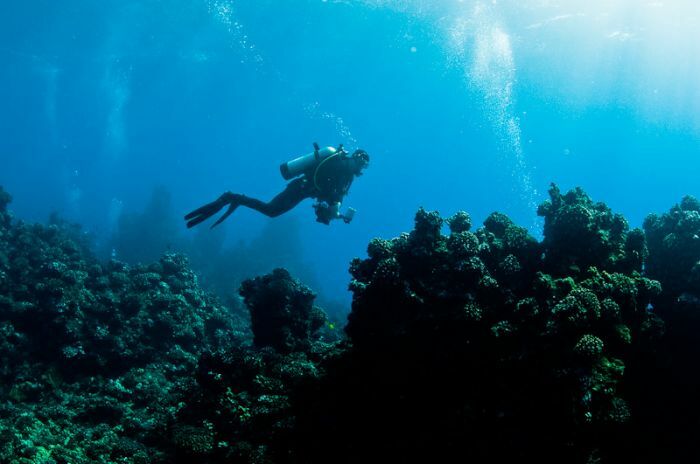 The nearshore ocean bottom also drops quickly to overhead depths, so always take caution when venturing into the ocean even if a lifeguard is on duty. Other popular activities on this beach are picnics and sunbathing. It is also popular among fishermen. Expect a lot of spectators on the road above the beach watching surfing activities below. Another attraction is the Honoli'i Stream which is lined with native trees. The shady areas and beautiful scenery makes for a great relaxation spot. Up north, at the mouth of the stream, is a pond which offers better swimming opportunities than the beach. However, be warned that the pond is quite deep and drops off abruptly. 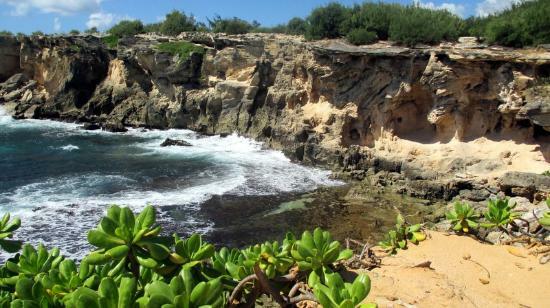 Honoli'i Beach Park is about 2.2 miles north of Hilo. To get there, head north past mile marker 4, turn right onto Nahala Street and then turn left onto Kahoa Street. Stairs lead down to the beach.